Chinese laundry bags? You got to be kidding! The once ubiquitous Chinese laundries that could be found in virtually every town a century ago did not have ‘laundry bags’ but the concept captured the imagination of some nonChinese. Although I don’t know where the hotel was located, I discovered the ‘laundry bag’ blow that at least one hotel provided to guests to place outside their room in the hallway if they wanted to have any clothing items laundered. My guess is that it dates back to the 1930s or earlier. The laundry bag contained the image, more or less, like a dummy wearing a bellboy cap that had a smiling Chinese face. Even though the hotel probably did not employ the services of a Chinese laundry, it used the Chinese laundryman image to make sure the hotel patrons knew what the bag was for. Another laundry bag that was marketed for sale as late as 2005 did not bear any images of Chinese faces. 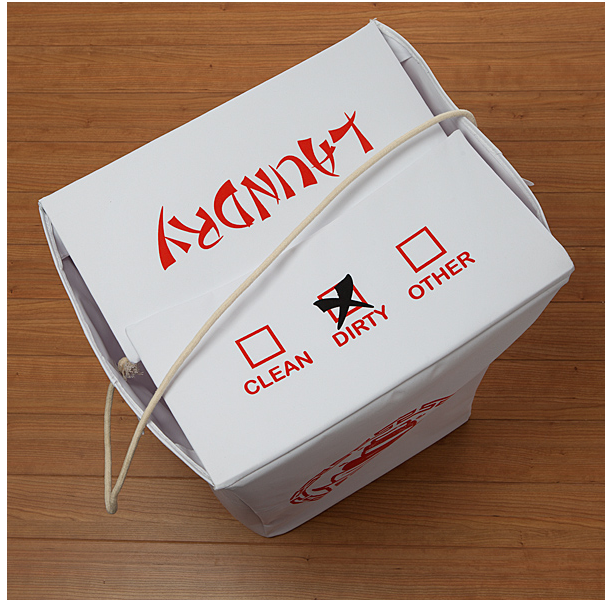 The designer was content to place the words, Laundry Bag, on it in English, and in Chinese. 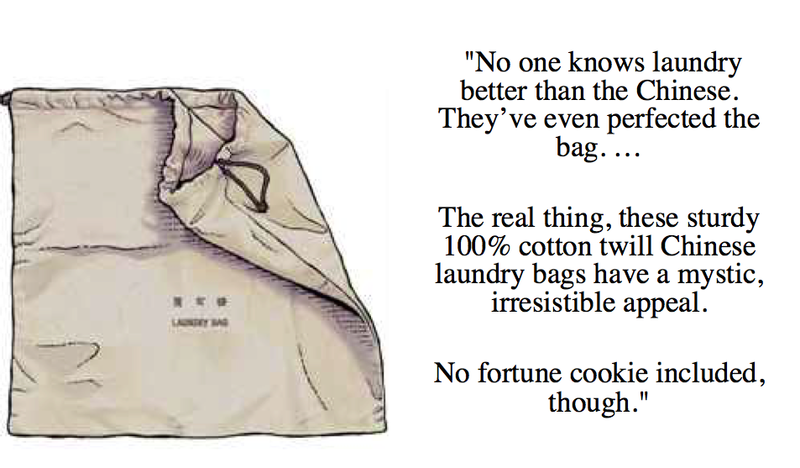 The ad copy praised the Chinese for their prowess in laundry work and bragged that Chinese even “perfected the bag,” which allegedly had “a mystic, irresistible appeal.’ Appealing to another stereotypical view of Chinese, the ad noted that the bag did not come with a fortune cookie. So, even though the Chinese laundry has largely vanished from the American landscape, it continues to live on through feeble efforts that perpetuate stereotypical views of Chinese.